In carry-on I'm not allowed to bring any sharp objects such as scissors or tweezers: I'm doing my nails and eyebrows the day before. I can also save some space if I skip packing nail polishes and files. I'll buy an inexpensive shaver from the destination. I may bring max 100 ml liquid containers packed in a transparent 1-litre plastic bag. 1-litre sounds like a lot, but things get crowded very quickly once you puzzle all liquid make up, haircare, skincare and perfume into a ziplock bag. My plan is to bring only sample sizes for my skin and hair. Months of stashing samples will be put into a good use! I'll also depot cleansing balm into a smaller pot, I always save and clean good sample jars for this purpose. Stuff anything you can into your partner's bag, if available. 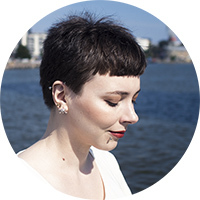 Lipsticks, eyeshadow sticks and other solid make up aren't classified as "a liquid", but soft balms, pastes, creams, gels, lip glosses and mascaras are (this is in EU, but check your local flight company). Thanks to my lovely friend and generous SAs, I've accumulated a fair collection of sample sachets. I'm one of those people who actually keeps and tries them! 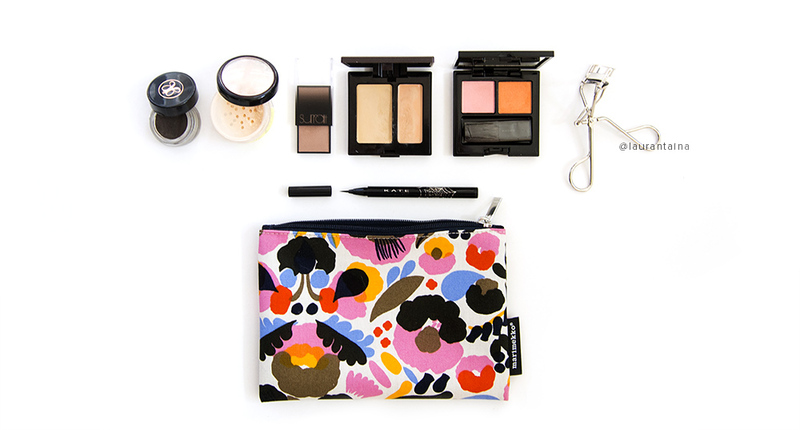 They're the most perfect to travel with: slim and light. I usually can get a couple of uses per sachet so I'm only bringing the minimum: one toner sachet for 2 mornings and 2 nights. If I run out of something by the end of the trip, it's not the end of the world as long as I have a cleanser and a sunscreen. I might depot my foundation Addiction in a smaller jar to save some space. I can't live without a separate concealer for under my eyes. L'oreal brow mascara I could do without, but as I won't be bringing my Viseart brow palette, I need a gel of some sort to tame those brow hairs. Not sure which one of these I'll choose. 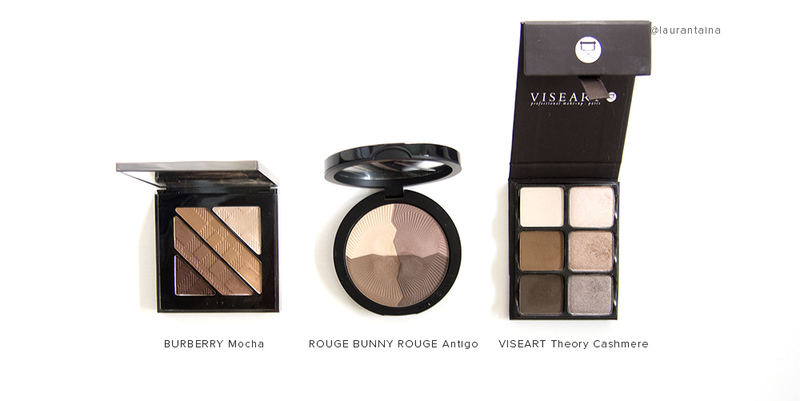 Most convenient for quick looks would be Burberry or RBR, but Viseart has the most variation. Burberry I bought exactly for travelling purposes, but it lacks a perfect inner corner highlight. My 4th option was Tom Ford's Cognac Sable. I'll choose my lipstick after I've decided on the eyeshadow, but most likely I'm bringing two: Charlotte Tilbury Tell Laura (review here) and a more natural one. Here are what the items look like in pouch and re-sealable ziplock bag. I need to skip all perfumes over 100ml, same goes for facial creams, primers, almost everything I can find in a Sephora. Oh, I can't wait to visit a Sephora! (we don't have one in Finland) The good thing is, I most likely will be saving money as I can't take larger items with me. Items purchased at the airport tax free don't count of course, but I have my doubts about the selection. I can bring sweets, coffee beans, scented candles and powder make up up to 8kg, which is the maximum weight my flight company allows for a carry-on. Any packing tips you'd like to share? Is there an item you must have when you travel?